You can create and manage SQL Database servers and single databases using the Azure portal, PowerShell, Azure CLI, REST API, and Transact-SQL. To create a SQL Database server using the Azure portal, navigate to a blank SQL server (logical server) form. To create an Azure SQL single database using the Azure portal, navigate to a blank SQL Database form and provide the requested information. 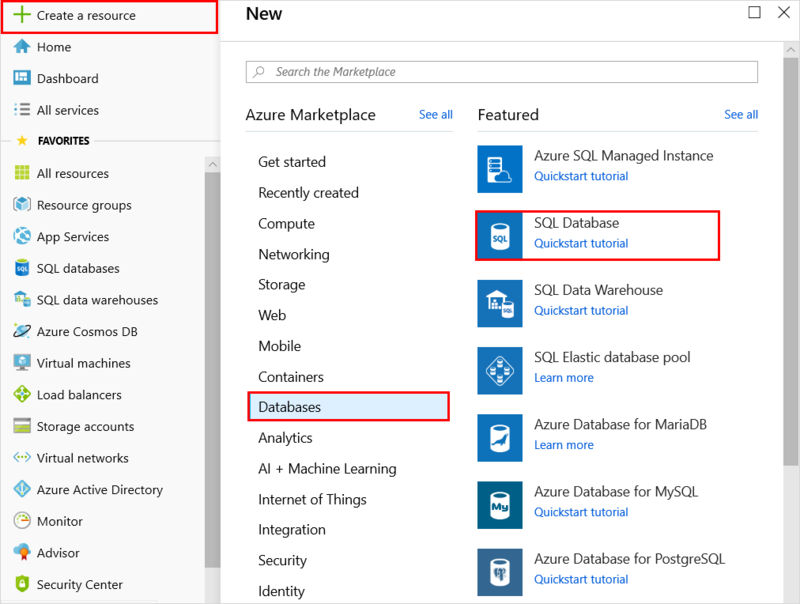 You can create the Azure SQL database's resource group and SQL Database server ahead of time or while creating the single database itself. You can create a blank database or create a sample database based on Adventure Works LT.
To manage an existing SQL Database server, navigate to the server using a number of methods - such as from specific SQL database page, the SQL servers page, or the All resources page. To create and manage Azure SQL Database servers, single and pooled databases, and SQL Database server firewalls with Azure PowerShell, use the following PowerShell cmdlets. If you need to install or upgrade PowerShell, see Install Azure PowerShell module. For PowerShell example scripts, see Use PowerShell to create an Azure SQL single database and configure a SQL Database server firewall rule and Monitor and scale a SQL single database using PowerShell. To create and manage Azure SQL server, databases, and firewalls with Azure CLI, use the following Azure CLI SQL Database commands. Use the Cloud Shell to run the CLI in your browser, or install it on macOS, Linux, or Windows. For creating and managing elastic pools, see Elastic pools. For an Azure CLI quickstart, see Create an Azure SQL single database using the Azure CLI. For Azure CLI example scripts, see Use CLI to create an Azure SQL single database and configure a SQL Database firewall rule and Use CLI to monitor and scale an Azure SQL single database. CREATE DATABASE Creates a new single database. You must be connected to the master database to create a new database. Servers - List Returns a list of servers in a subscription.